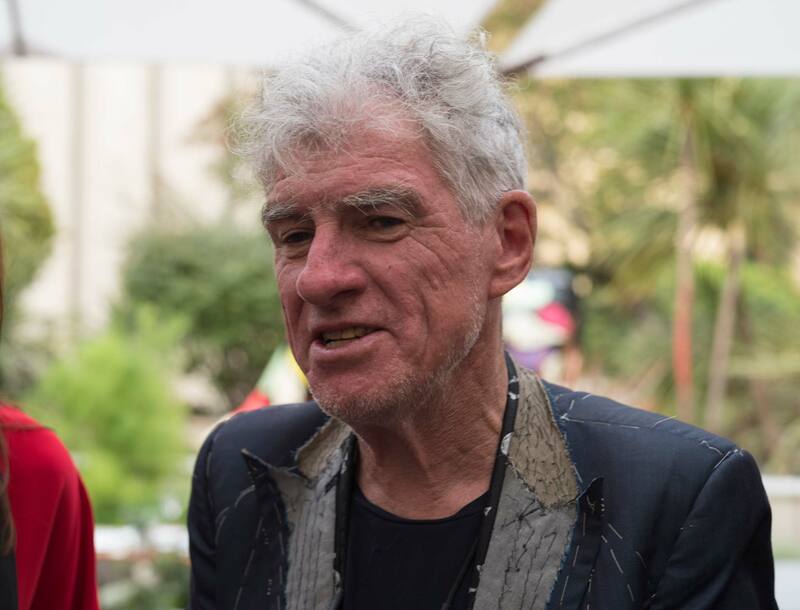 Christopher Doyle, HKSC (aka Du Ke Feng) receives the Pierre Angenieux ExcelLens Award for Cinematography on Friday, May 26 at Cannes. JON FAUER: Congratulations on the Pierre Angenieux ExcelLens Award at Cannes. Ha. And the award is lens agnostic—it doesn’t matter whether you use an Angenieux zoom or never use zooms at all. And you are too modest. The world has high regard and great respect for you, your work and your films. It’s interesting that the challenge for us now is access. Because of the distribution system, because of the way in which “Fast and Furious Number 75” is coming out in a week or two, the whole problem is distribution. So this Angenieux Award is perhaps a bit of a window opening on that little world that we live in, and the way we can see. I promised we would discuss art and style and not technical stuff. But you said you do use zooms? The zoom lens gives me freedom in the way I work. Often it’s with young people or first-time directors. For example, we shot the last film in nine days. The one previous to that was 14 days. The economies of scale push you towards a certain style of filmmaking and certain efficiencies. So the zoom makes it happen more than other lenses. On the films I mostly do, we don’t have the time to change from one prime lens to another. As beautiful as the images may be, prime lenses are a luxury we can’t afford, mostly for budget reasons. But also we have to move fast in the way we have to shoot. Actually, I do use all the Angenieux zooms. My favorite is the Optimo 15-40 because I handhold a lot. It is smaller and lighter than many prime lenses, and for me, balances better. So it becomes my first choice when I’m handholding. Also, since we are often obliged to steal shots in places where we can’t get or afford permission, the big 24-290 zoom does help. For example, in a film like “Rabbit-Proof Fence,” we’ve got kids who have never acted before. They’re from the Outback. They come from a nomadic tradition. Sure they go to school no and their communities are often more “settled.” But basically they have this wonderful wild streak, which is the whole source of their energy, and what they brought to the film. But the only way to respond to that was to basically reframe the scene as we were shooting it, which meant the zoom was the only way to achieve that because we didn’t know what they were going to do. So using the zoom was fantastic. And it was really weird, because they’d run across the desert, and in one take that lasted up to five minutes, we’d get the equivalent of five different shots. The strangest thing was that I was always unconsciously framing at either 32, 40, or 65mm, just by eye. It was interesting that unconsciously I’d be framing these three basically different variable focal lengths. So the Zoom became three Primes in one. Recently I directed (or co-directed) and shot a couple films: “Hong Kong Trilogy” and “The White Girl ” with, once more, a lot of kids involved. Again, we had a lot of “uncontrollable” elements. Of course, the only way you can get the film “in the can” quote/unquote, even though there are no more film cans, is to be adaptable and still care about the image. I think that the so-called trade-off between getting a moving picture, as opposed to being precious about the definition of the image, is not a valid argument. I don’t think it’s a trade-off. So the zoom for the films that we make is absolutely essential. How would you describe the films that you make? I doubt whether the directors you work with think so. Oh, have you seen that films I’ve done with Mark Cousins? We did “I Am Belfast” in five days. The new one, which is being released by the British Film Institute and BBC, is called “Stockholm, My Love.” In what I feel is the truest and most generous acknowledgement of any film I have made, the opening credit by Mark reads: “Starring Neneh Cherry and The City of Stockholm.” Mark is a genius. He has an eclectic amalgamation of intellect and passion for filmmaking and for the cultural history of film. He puts that together in his own way. And then we go and shoot for five days. And it’s a feature film. What is that called? Framed insanity, or eclectic optimism, or what? This year, I’ve co-directed two films. We have to stop complaining about “Fast and Furious” taking over the world. We have to pull our weight, find ways to make films that do reach out to a broader audience, that do engage with issues that studios and blockbusters don’t bother with or just don’t know. Since we have this wonderful thing called the Internet, everybody is a camera person now. Even 12-year-old kids are becoming experts in cinematography. Obviously, if we expect people to pay to see what we’re doing, we’d better get off our asses and do a good job. That’s how I see it. How do you shoot so quickly? You must be churning through 10 to 20 pages of script each day? With as little dialog as possible, and lots of movement within the space. And a lot of setups? Yes. We have to move fast. Fascinating locations have been some of the wonderful pleasures in the journeys that many great directors have taken me on. Because I’ve worked in so many different parts of the world, location has become primary in my approach to the film. Once you get the location right, you have a response to what you feel, the textures and the colors and the climate. For example, in Ireland, where it’s raining all the time, once you respond to that, it becomes the style of the film. We knew it was going to be sunny one minute, then drizzle, then cloud up. Instead of the traditionalist way of waiting for the sun, or only shooting in overcast light, we embraced what these changes made to a scene. It was also daylight between 5 a.m. and close to midnight, so it would have been impossible to shoot the film’s many night scenes any other way than the way we did: day for night. That’s a very Asian approach. In Asian culture, in meditation, you start on the outside, and you slowly focus on the essential image, or a color, or the textures, or the idea, which is what the Mandala is about. In the West, you have good and evil—the Christian dichotomy. And that’s the basis for the structure and often the look of a film. The Western dramatic model might be like this: first there are two cops and they’re not friends. Then you realize that they have a lot in common. They go through some struggles, and it’s resolved. So, you have a three-part structure: good vs bad needs resolution. It’s a very Western thing. If you work with someone like M. Night Shyamalan, which I did, where everything is predesigned, there is certain facility to that. But it doesn’t breathe the same air that an Asian film does. I approach a film through the location. The location gives me an idea. I take the idea and then, in simple technical terms, we pre-light for the whole scene and then we can move fast. We’re not relighting for every setup. Sometimes we use two cameras, because that gives the actors more freedom in dialogue scenes. What I notice is that, first of all, when we move faster, it’s really great for actors, in general, because actors love to move, especially those who come from theater. They’re not used to sitting around for half an hour, perhaps an hour, waiting for us to relight. We still work 10-hour days. We still manage to achieve many setups in that amount of time by working quickly. On the last film, I think we worked an 11-hour day only once, and that was because we had to drive somewhere. So I always try to find locations that are all very close together, or the same place presented from very different angles . That is what style is about to me. It’s not just about so-called vision. It’s what the space gives us, and where we take it, which to me, is actually liberating. For example, I’m in the middle of Hong Kong right near the escalator by Chungking Express— and outside of my window almost everything is white. How would you process that as a filmmaker? You probably don’t want to shoot in the bright sunlight of midday. These considerations push you in a certain direction. And you adapt to it. Perhaps you put a warm filter in front of the lens so that everything is slightly less white than it looks to the naked eye. Or you add color through art and costume direction. Or you go the other way and make everything white / monochrome and stop down the camera or use longer lenses to separate the subject from the surrounding space. All this comes from a bit of experience, and also the rigors of this so-called “low-budget” filmmaking that I’m mostly engaged in. What do you dare to give an audience, or what do you expect of them to understand? This is always a great challenge of filmmaking. What is real and what is anticipated? If we knew, we’d all get rich happily making masterpieces that please crowds and critics alike. But we don’t. And that’s the great give-and-take, the day to day challenge. How long do you hold the shot? How do you celebrate a beautiful woman’s face? When you are working on the image, when you get involved? It all seems so clear to you. It all seems to work so well. But, how clear is it to an audience? How much do they get? How much more do you need to show and share? One of the themes that always interests me is where style and art come from? Does it come from the script? Does it come from your experience? Is it a single style that goes through all of your work? Or does it change from job to job? If I look at most of my films, I think they’re almost the same film. Stylistically, people might say they’re very different because of the context and even the locations. But I think it’s just one film, taking different forms. I feel my own journey has been quite similar. Except that one day when I was doing “Ondine” with Neil Jordan. He said, “How come all your films look so different?” And that really shocked me, because to me it’s just one body of work, it’s my life. I happen to make films. I happen to sleep sometimes at night, and I’m a vegetarian. Okay. So that’s basic to who I am. I make films. But I never really had thought about his question until he posed it. As I thought about it, I realized that maybe he was right, because almost every film I make is in a different country, or at least in a different part of a country. Often I’m with first-time directors, or people who have different cultural experiences. I’ve made films in Thailand, Ireland, Sweden, South America, and so on. This is basic to the balance between the continuity that you have in the little journey that you’re taking on your own, which is enhanced by experience. And then the challenges and the opportunities and the excitement that working with different people in different spaces gives you. It’s always an obligation. I think that goes back to me being a traveler ever since I left Australia so many years ago. If you look at the people who have been honored with the Pierre Angenieux Award so far, don’t forget that Philippe, Vilmos, Roger and Peter are not Americans. But they’ve made some of the most celebrated American films. As a foreigner, one sees things with different eyes than a local, but if you are as committed as a great filmmaker must be, you will reveal some inner truths that both locals and outsiders can connect with. In cinematography there are many other examples, like Anthony Dod Mantle. He’s a Brit. But he’s made some of the great Danish films. It happens in scriptwriting, in acting, in directing, and on and on—the story is the same. It’s what cinematography is always about—or any art. You care about what you’re doing, and at the same time must be objective, because you come from somewhere else. A special balance is created between intimacy and surprise, between the observed and the shared. That’s the thing to keep. How you keep it, or how it works with other people, I’m not sure. But it works for me because I’m not me: I’m Du Ke Feng, which is the Chinese me. But Du Ke Feng doesn’t exist physically. It’s a name. This is a great freedom to me: that I am actually somebody else, schizophrenic as that may sound. The great pleasure is that Du Ke Feng is Chinese. He is very much involved in the Chinese world. And he speaks Chinese, of course. And he understands Chinese people. He has this alter-ego called “Christopher Doyle” who steps back and says, “Hey, take it easy. It’s only a film.” Or he says, “Go in that direction” or “Are you really sure you want to do this?” As often as not he asks : “Chris, is that all you can do?” I think that’s the most important question I’ve ever been asked in my life. And sometimes I say, “Yes, that is all I could do, because I’m tired, and it’s 3:00 a.m. in the morning, and we’re running out of ideas. And yes, that is all I can do.” Or sometimes I might stop to see where I am and how I am doing and ask myself, “Am I focused enough—am I really looking at this more objectively?” And I think this is the great freedom that I have and that very few people have. That I am not Christopher Doyle most of the time. I’m Du Ke Feng. Where did you get the name “Du Ke Feng?” Who gave it to you? It means “Like the wind.” “Du” comes from Doyle, kind of. But Du Fu is one of most famous poets of the Tang dynasty. He was like the T.S. Eliot of Chinese literature, so he was very meticulous, which is not like me. Ke Feng comes from a Confucian expression that says “A person of quality could be like the wind.” Ke Feng means “like the wind.” It’s a form of expression in Chinese meaning a person of quality. Usually, it’s translated as “gentleman,” which I’m not. So yes, I’m like the wind, which is pretty appropriate. I used to be a sailor. Feng also means “crazy” in Chinese. Did you give yourself that name or did someone else? My Chinese literature teacher gave it to me. She was and is a poet and she gifted me with this beautiful name. All of this only happened because I came to Hong Kong to study Chinese. I wasn’t a filmmaker until I was 32 years old. Filmmaking came through the language. That goes back again to the subject of objectivity—that I entered a Chinese world of images, of theatre and language. I was a very organic, very personal engagement with this culture. But I came from somewhere else, from Australia. I think that balance always has been the reason I can get away with things that most Chinese cinematographers couldn’t get away with. To be honest, I probably exploit that a little bit. The problem is, when I go to the West, they expect me to speak English. People are often astonished how badly I communicate on set in English. It’s because my cinema language is Chinese. It’s not English. There are a lot of technical terms whose English names I don’t know. That’s why I was worried about talking to you at first. I don’t know what a lot of these things are called. The first time I went to do “Psycho,” my first American film, I said, “Take that thing and put it over here, and bring this one closer to us, but I want that a little bit higher.” In Chinese, that would be totally understandable. Everyone would know what I wanted and what they should do. But my American gaffer looked at me, and said, “What did you say?” Because I was just translating the way we work in China into the English language. But it’s not the way people think or work. They’re much more specific in the West. So it was a very steep learning curve. What else can you get away with on Chinese films? On Chinese films, I’m Du Ke Feng and I’m crazy. First of all, they’ve already been warned. Everybody knows I’m going to do this crazy stuff. But the other thing is that they can actually expect more, in a certain way. It’s not just because I’m not Chinese. It’s also because of the way I live, and the way I feel about my work. I don’t care who your parents are. I don’t care where the money’s coming from. If we’re going to do a good job, then we should do it in a certain way. Sometimes I may step over the boundaries a little bit. But then they realize it’s just me. The good thing is, whenever they say “Gweilo,” which means “ghost person,” it is usually an insult, and the only person they’re talking about is me. Yes. “Gwei” is “ghost,” and “Lo,” means “person.” It’s basically an insult. It’s what Hong Kong people call the British expats, bankers who get drunk in the streets on Friday nights. There are a few downstairs right now, by the way. Because I live right in middle of everything. I live in Central. Near Lan Kwai Fong. I used to live in the apartment that is the main location, the cop’s appartment in Chungking Express, the one right beside the escalator. But it was too expensive; I couldn’t afford it. Do the Hong Kong crews still consider you as a “Gweilo,” or do they accept you as a local because you have been there for so many years? Yes. I’m their “Gweilo.” I think that is the big point. When my friends are talking to me, some call me “Chris.” Most of my mainland Chinese assistants address me with the overly polite “Teacher Du.’ But everyone in the Hong Kong film world, even Wong Kar-Wai, always refer to me as “Gweilo, gweilo.” They don’t have to use my name. Everybody knows who they’re talking about. So I guess I should be very proud. If you didn’t start shooting until you were 32, how did you learn? Somebody gave me a camera, and I made a lot of mistakes. But before that, I started with language studies at the Chinese University of Hong Kong. Then I ran out of money. At that time, Taiwan was cheaper. So I went to Taiwan. I started to hang out with theater people and musicians; we all hung out in the cheapest bars. At that time, Taiwan was just moving out of military dictatorship. Young people were very optimistic. One of them had an 8mm camera and wanted to make a documentary about his work. He was an ethnomusicologist studying Hakka music. Anyway, he gave me a camera. We went around Taiwan for 20 days. We were using Kodachrome 40. The exteriors looked fantastic, really saturated, Kodachrome colors. And then we shot a lot of interiors, because we were interviewing 80-year-old folk people in their huts, in the middle of the countryside, very rustic, only a fire to light the whole space. When the film came back from processing and we projected it, there was no image on the screen. I mean, it was totally black. I couldn’t understand why. I didn’t know what 40 ASA meant. I didn’t know what light does to film. Furthermore, we didn’t understand about syncing sound. So it was a catastrophe. Ever since then, attempting to fathom why the eye sees one thing and the camera another, or how to use the camera and light to realize what your mind sees, has been my journey and my challenge. Then I started to do my own films. People started to hear about me. The problem was that I was staying illegally in Taiwan. I had overstayed my visa. I had no money. And I was getting various prizes. But I couldn’t collect them, because I was an illegal resident, and also the prizes were supposed to encourage young Taiwanese film makers. Non-Taiwanese were not eligible. Word got around that there was this crazy person not picking up the prize-money that his or her films had earned. They put two and two together and figured it must be me. Then Edward Yang asked me to do his first film. I had never used a 35mm camera before. I had never lit anything before. They had 26 cinematographers at Central Motion Pictures Studios on salary. It was like an old studio system. Of course, they all went on strike, because “Who is this guy? First of all, he’s not even Chinese. Secondly, he’s never done any real films before.” But Edward stood by me, along with his girlfriend at the time, a major actress, and we made the film. I think that the whole journey has been about balancing. One part of it is learning certain technical things that help you to work out what you want to do, and the other is finding people to help you to realize that idea. It’s about taking the idea you have and using the equipment that’s available to get the two disparate elements closer together. You have these aspects all the time, this give-and-take between what is seen and what is recorded. What is conceived in the mind and how it’s celebrated to an audience. And finally, who is going to help you do it? When you get a script, what do you do to prepare? Do you go to art museums, read books on the subject? How do you determine a style, how it’s going to look? First of all, I’ve been lucky enough that most of the people I worked with were friends first, and also happened to want to make films. For example, Gus Van Sant was a friend before we made “Psycho,” before we made “Paranoid Park.” Jim Jarmusch is a friend. So it’s always been based on friendship, which for me is basic. First of all, each of us knows the other reasonably well enough that we have a give-and-take that the intimacy of the filmmaking process demands, and you have to bring something that the other person doesn’t have. But also, you have to be aware of what they can bring to it. Number one for me is the friendship. I usually work on films that are not always storyboarded and predesigned. Usually we’re working with real locations, sometimes with people who don’t have that much experience either in the acting, lighting or art department. So you need to try to take what’s available and give it a form that is financially doable, and secondly, aesthetically pleasing to you. And then try to encourage people to use those locations, those ideas that you have, and write them back into the script. I think that’s really important. Instead of the script saying, “They turn the corner, and they run into a brick wall,” what if you don’t have a brick wall? Why don’t you say, “They turn the corner, and there was nothing there.” This is always a major process to me and then we’re all close to pursuing the special qualities of the space in which we’re going to work. Then the so-called style comes, of course. For example, when we did “Limits of Control” with Jim Jarmusch, the production designer had just come off “Pan’s Labyrinth,” which is extremely well-structured visually. Then we had an idea to follow a whole progression of colors that we were going to develop through the different locations of the film. Then, as can often happen, you get to a certain point, and you begin to forget about the theory, and the film starts to make itself. But to have that base and that preparation is extremely important to me. I’m always surprised when a director brings a script on the set. Because, I’ve done all my notes, and I leave my script at home, because now we’re going to make the film. I make notes about the location and lighting and details into the script, so we have a clear idea to communicate with all the departments. Then, as I said earlier, I light the whole scene, the entire area. And then we move on with the working day. I think those things are important, so the process can get quite intense. And yet, it takes you to a point where you can let go. If it rains, it rains. And we work something out. What was the intention of the scene? The script says, “She was feeling hot and sticky.” Yes. But she’s a really cool actress, and she doesn’t know her lines. What are you going to do? Are you going to push for what was written so long ago by a single person sitting at a desk in a lonely room, to insist on something that is conceived in an ideal world rather than the real day-to-day challenges of film-making? Or you can step back and say, “Well, okay. She’s not so hot. But I can light her to look sticky.” I think that preparation leaves you open enough to go wherever you need to, fruitfully and economically and with confidence. I guess since the directors are your friends, they usually go along with your suggestions such as, “Okay, put the talent by that window, because the lighting will be better,” and so on. Well, now you’ve got me into my favorite, and you must put it this way. I think it’s all about Feng Shui. As we know, certain actors always want to be close to the camera, ready for a close-up. But then, if the camera is up against the wall, and there is no way to light them, they’re going to look terrible. That’s why I like to light before the actors get on set, because they will go to where the light is, instinctively knowing where they will look good. The point is too seduce them into doing what is good for all. You don’t want actors asking, “What is my motivation for not going to the window? I want to stand out in this scene.” You don’t want to say, “Oh, but sorry, there is a table there, and there is food on the table, and you’re supposed to be eating.” So instead of having these fruitless arguments, and even engaging in this ego tug of war, you sometimes have to create an environment which is appropriate to the scene, and then things will work out much more quickly, more easily, and with less conflict. That’s feng shui. That’s what feng shui is about. That’s why, when you enter a restaurant, you go and sit at a certain table, because it attracts you in a certain way. That’s why there are certain elements in a space towards which you will gravitate. One of those things in our work is light. That’s the easiest one to manipulate in a way that gives a certain coziness. The actor should feel a certain rapport with that space. And then they’ll move in a certain way and everything becomes more fluid. Talk about lighting and your use of color, without getting technical. It’s so simple. A favorite story goes back to one of the first films I made. I was just starting and I was still a foreigner in Taiwan. We had a gaffer who had been working 40 years in the film industry. He had all this experience and all seniority, and it was still a very Confucian society, which contends that old people always know best (ha ha). The location was an old factory. They ironically called it a studio. We had built a prison set inside this space with about five or six cells. And there was a hole in the roof of the studio, because it had rusted. It was 2:00 in the afternoon and the sun was beaming straight down onto the set. I just thought it was the most beautiful thing I’d ever seen. So I said to the gaffer, “Just put the biggest light you have on top of a tower and make the light look exactly the way the sun is now, because the sun is going to change during the day. And that’s it.” The day of the shoot we just had to sit there watching as he lit the set. Six hours and many many lights later, what he had done looked like every TV prison set you’ve ever seen in the world. I said, “Sorry, when I asked for one big lamp, that is what I meant.” I think big lamps, doing simple stuff, always push you in a good direction. The other important thing is how to balance interiors and exteriors. If you’re going to be working on a sunny day, you’ve got to work from the outside in, because you can’t control the outside. You have to light to balance the exterior. Lighting involves simple stuff like that. Is that true in Hong Kong, as well? You light from outside in? Yes, a lot, because we can’t control the exterior light. It used to be you couldn’t get the gels you wanted, because they cost too much. Now everybody else is using them, because they’re shooting so many films. They’re shooting 300 or 400 films now in China. There is just so much production going on. You are going to remain a busy man. Are the crews relatively large on Hong Kong movies and on your jobs? Well, no. We have 3 to 5 people on the electric crew. We do a lot of two-camera setups just to move quickly, especially for dialogue. The Hong Kong style of acting is a bit different from most parts of the world. Up until recently, there was no real theater tradition, and there were no real acting schools. Most of the actors came from a background of music; they were singers. Some come from TV. So the acting styles are quite eclectic; there’s a lot of variation. You have to be pretty flexible about that. So you prefer locations to studios? Pretty much. I think it’s that Feng Shui attitude . It puts you in a certain zone that usually is more conducive to the whole thing being more coherent and more organic. Are there still a studios in Hong Kong? There is the Shaw Brothers Studio. But the thing that’s happening in Hong Kong is that few people film here anymore. All the money is in China. But that’s only happened in the last six to eight years. Usually, we’re in China at least 60, 70 percent of the time. There are much fewer films being made in Hong Kong than there ever were before. Even so-called Hong Kong films are often made in studios in China and elsewhere. I just saw the Pinewood Studios in Malaysia, which are very big. And there is a huge studio in Qingdao where Tsingtao beer comes from. It used to be a German colony. That’s why it has beer. So now they’re building huge studios. And nowadays they often turn the sets into an amusement park after the film is completed. I am sure that’s what happened to some of the hero locations after “The Great Wall” was completed. When there are huge exterior sets, once the film is done, they either use the sets for another film, or turn them into a tourist attraction for that particular, usually remote, region of China. Do you usually get the equipment from a rental house, or where does it come from? Yes, from rental houses. Nobody owns their own equipment here. ARRI has a big base in Beijing. There are three or four rental houses that are very busy. The thing is, they’re so busy that they might promise you something. But whether you get it on time is another question. Lately you’ve been directing and shooting. How does that work out? That’s one less person to argue with. Exactly. I mean, if I haven’t already thought it all through, what’s there to discus? We make the decisions; the rest is just a waste of time. Just get on with it. Have you heard about “The White Girl?” We shot it in a wonderful village on the edge of China, a fishing village, basically a poor man’s Venice. All the houses are built on stilts rising out of the water. There’s an estuary leading from the sea. The people are called “Tanka.” They’ve been chased from the north, over many years, and they’ve been chased off their land everywhere they settled. They’ve been chased into the worst areas, into the hill country. So they often produced tea. They’ve been subjected to segregation and oppression, and they had no land rights. In this village, they built their houses on the sea because they were not allowed land rights. It is a fantastic place. But it’s going to disappear because now they’ve built a bridge between Macao, Zhu Hai in China, and Hong Kong. The bridge opens next year. So within two years, Chinese investors will take over the place and turn it into condominiums for mainland Chinese. So we were in a hurry to make this film before everything disappears. Basically, it’s a love story. But it’s also a celebration of this particular village and the cultural loss that will happen once it’s gone. The film is a cry in the dark for a little bit of protection of this place. Although, of course, it’ll never happen. Visually we played a lot; we have a camera obscura in the film that opened up all sorts of visual space. A dark room with a pinhole and image projected on the wall? Yes. It was so much fun. We built the camera obscura ourselves. In the story, the character is an artist. He’s Japanese. But we don’t know where he came from. He’s a famous artist, and he’s given up. He’s had enough with art. And he’s come to this village. He’s lives in an old Western-style mansion, on top of the hill above the village. The place had been deserted for 30 years, because the old owner had been a dissident. We don’t go fully into the politics. But the backstory is that the woman who owned the place was possibly assassinated, and definitely ostracized by the corrupt village chief. So it’s got a history to it. And it’s very rundown, which looks great on film. The idea was that he sees the village, and then he gets interested in a girl. Then he gets to know more about the politics of the village. He discovers that the house has a tower with a camera obscura that projects the images of the village onto a wall. That was the great visual conceit we played with—much of the story and information is transmitted through this character discovering the story and the village itself and different things through the images projected on his wall with the camera obscura. But the actual camera obscura image was too dim to film, so we had to put a projector inside the camera obscura. It’s done. Not at Cannes, but it’s already invited to San Sebastian. I think Toronto and Venice will probably want to show it. We’re going release it here in Hong Kong around the Moon Festival, which is September, because one of the major scenes of the film takes place at the Moon Festival. The climax of the film takes place during a Moon Festival ceremony. So it makes sense to distributing at that time of the year. Did you produce as well? Not really, but kind of. The producer used to be my assistant when he was 19, and now he’s my boss..
What are the budgets of the average Hong Kong film? From around nothing to about US $1.5 million. The previous film “The Hong Kong Trilogy,” which I also directed, was funded mostly with Kickstarter. I think we ended up at a little more than US $ 900,000. $1.5 million would be almost comfortable for our films. But usually, if you go beyond $1.2 M, it gets a bit tricky. Your budgets are similar to many of the independent films in France and Japan. And they shoot maybe 300 – 400 of them each year. So that’s good. When you talk about style, to me the project is also part of style. It’s the weather. It’s the budget. It’s making everything work. It’s not just this esoteric, aesthetic concept that we’re all creative geniuses. The point is, it’s a film. It costs a certain amount of money. And we have to be responsible to that. I think that’s very important, no matter what the project is. Good point. With those budgets, are you able to afford to rent the equipment you need? Or do you have to beg, borrow, and steal? Well, no, it’s not beg, borrow and steal in China, because everyone’s so busy, they don’t need to grant favors. It’s not like in Europe where you can get a deal. Or even in the States, where they are charging less than 1.5 days’ rental for a whole week. It’s sometimes even worse now—very competitive. Are you kidding? They charge you double in China [laugh]. Maybe they throw in a lens. But it’s much more cutthroat. Equipment still is a big budget thing. In the old days, film stock and processing was the most expensive thing. Chinese films, up until the 80’s and 90’s, basically were shot in one take per scene. That’s why you see films of that period had a style of acting and a style of lighting that was very much determined by the fact that film stock was the biggest financial investment in the films. But now, 80 percent of the budget often goes to the stars. It’s astonishing. I mean, some of them are making much more than Tom Hanks, or whoever. The actors are really raking in the money. And everyone’s complaining now because it’s only happened in the last five or six years. It’s grown so exponentially, it’s just over-the-top. Getting back to the film issue, are you currently shooting on film or digital? Digital. A lot of Alexas. That’s my favorite camera these days. I use Alexa most of the time, if I can. The problem is that we have lost the eclectic and visceral nature of film. Even worse, many directors think they can create much better images. I miss the imperfections. I like it rough. Has that changed the way you shoot, the fact that you can do more takes, or anything else about digital versus film? Well, we don’t do more takes, because like I said, we keep to a 10-hour day. We work nine 10-hour days, and that’s for a whole film. So we very rarely go beyond three takes. But that’s my style. I’m sure for other people, or other directors, they’ll go 50 takes. I think with digital perhaps sometimes you get to do slightly longer takes than you would have done, back in the old days. It’s a bit easier now. I used to handhold with a thousand-foot magazine. Although I don’t like light cameras. I like the physicality of a certain amount of weight. To me, if a camera is too light, it’s not as stable. That’s why the Alexa is so important to me. The balance is what it’s all about. It’s not a camera that just stays on the tripod. It comes from a certain way of working and it’s a cultural thing. I can understand, because it comes from a certain tradition and aesthetic and belief that films should be made in a certain way. I never bothered using a geared head or wheels for remote heads. When I’m using a remote head on a crane, I use a joystick or what I call a motorbike. What do you call that? Oh—like the Cartoni two handled fluid head coupled for remote control—like motorbike handles? Yes. I just feel it’s more organic. Let’s go back to what we said about the organic nature of the films we make. As with my hand-holding, it’s so basic to how all this plays out—to me it’s always a dance. It’s always a dance going on between what’s inside of the camera and the camera itself. It’s always a give-and-take. So you have this organic sort of engagement that you don’t get any other way. To me, that’s extremely basic to my approach. You’re almost a character acting within the scene. Oh, yes. This is your job. I always say there are only three people in cinema. [chuckle] And that really pisses off a lot of people. What it means is there’s a connection between the character and the audience. That’s the number one and number two persons. And the person who makes that connection is the cameraperson, because they’re always the closest person to the actor. So basically, you’re just a portal, or you’re just a bridge. What you’ve got to do is make the actors feel comfortable. What you’ve got to do is dance with them. What you’ve got to do is give them the space that they need, and to respond to it. Again, it’s a very intimate relationship. As I say, the bridge that the camera has to be through this intimacy is part of the cameraperson’s job. The actor has to feel that he loves them. They have to feel trust. Because you’re always the closest person to them. They have to feel your engagement. They have to feel that they can do anything, and you will be with them. It’s essential. And do you fall in love with the talent? Not a wise idea. I did once, and that was the biggest mistake of my life. And you can print this. I won’t say who it was. But it was fantastic. We’d shoot for 12 hours, and then for three hours, she would argue with me because I didn’t do enough closeups of her. Don’t go there. You love them with the lens. Everybody knows that Maggie Cheng is the love of my life. She knows it. And that’s enough. It ends at wrap time each day. It’s been said that choosing a lens is like choosing a fine wine. How do you do it wisely? As I mentioned earlier, I use the Angenieux 15-40 a lot for handheld. For close-ups, I usually end up around 32 or 40 mm—those seem to be my favorite focal lengths. And I like 65mm on the 28-76 zoom. Part of the reason is that, in our world, you have to be around 65mm or a bit longer because there’s often so much extraneous detail that you don’t want to include in the frame because we’re in Hong Kong. On locations where you don’t have much control over the whole thing, there’s always something going on in the background, which is often distracting. So, we tend to sort of go longer so the background doesn’t become a visual scar in the frame. You mentioned that you also use the 24-290 zoom? Yes, because we also steal a lot of shots. We’re always stealing shots. Go to the long end of the zoom and pick up the shot, and get out of there as quickly as possible. People have filmed on the subway here maybe 30 times, and never had permission. I did a film in Singapore. I do know Singapore a little bit and they can get quite uptight. So I’m doing this scene of two gay guys dancing on the subway. And they said, “You can’t do this.” The director was actually a teacher of cinema at the university. He had all his students as free assistants. As I’ve done so many times, we get on the subway. We go two stops. We get off, and we change trains, and we do the second part of the scene. We almost get busted. And all these students were just going crazy. They were saying, “It’s the first time we’ve broken the law in Singapore.” They were so excited at actually breaking the law in Singapore. And we didn’t get arrested. There’s a story that the French New Wave was basically the result of shooting handheld so they didn’t have to get permits. Yes, yes. Same thing. OK, are we finished? You got enough for a book? Oh, no. I tried to do a horror film once. They said was too poetic, not horrible enough. No. This wouldn’t be a horror film. It would be an epic, not Lawrence of Arabia, but maybe Du Ke Feng of Hong Kong. It begins in Australia. I left Australia when I was 18. First of all, at that time, as I still am, I was always interested in literature. So from a very young age, from age six, I was reading novels. I went to Sidney University when I was 17. But I got so depressed by the people teaching literature who were all academics. They didn’t love books. It was just a job to them. That really pissed me off. So I dropped out. Secondly, we were making mescaline. It’s a synthetic form of magic mushrooms. That got a little bit heavy. And then the Vietnam war meant conscription. So at the same time I dropped out of University. I was going to get conscripted. And finally, because we were so high one night, we burnt down our house. Some went to different parts of Australia. I just jumped on a ship and left. What can I say? It was the 60’s. We were kids. I go back for family, but as little as possible. It’s too slow for me after Hong Kong. It’s weird, I’ve only made one Australian film, but they’ve got me as an Australian cinematographer, for some reason. I should mention that as well as budget and weather and how well the crew are eating and how to let the actors dance, one must always be humble enough to be true to this incredible responsibility that imagemaking must be. I would be untrue to where I come from if I didn’t wish that the hundreds of other filmmaker collaborators were not with me to receive the Angenieux Award acknowledgment together. After all I didn’t make this journey alone. When I was in Taiwan last week doing the sound mix for “The White Girl,” Du Du Zhi, who has been responsible for all the great sound on so many Chinese films, including almost all the ones I have done, upon hearing about the Angenieux Award, said “That makes you the first Asian to gain such an honor” —such a “Gwailo” to some people, after all. Used to drink, play rugby and dragon boat race with Chris in the 70’s in Taiwan. Memorable times- he busted his balls to be the best and deserves all the accolades.